Early traders dealt with competition on a relatively smaller scale as we do today. Most businesses were run mainly on the business acumen and knowledge of the trader without much study about the theories that ruled the world of business. 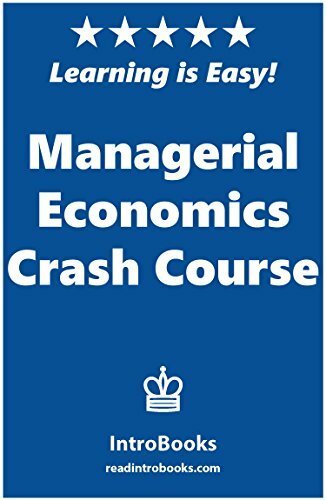 While Economics has existed as a branch of knowledge since the ancient era, managerial economics is an emerging branch of economics which integrates business theories with practical business applications. In early days when business was less competitive, the application of economics to business was not considered to be important. But with the considerable amount of changes in the business landscape, and the cut-throat competition that dominates every aspect of business makes it important for business leaders in today’s world to understand economic theories and apply it prudently to the business to ensure steady growth and profits and to achieve the desired business goals. Managerial Economics helps business leaders take managerial decisions in an informed manner by basing their decisions on the principles of economics. Almost any business decision can be taken with the help of managerial economics. While some businesses may utilize the study of managerial economics and have the leaders directly apply the knowledge to their business decisions, other businesses may employ a managerial economist who assists the business in taking decisions.